Now, I know what you must be thinking. It's summer, why on earth would anyone want to think of a hot heating wrap? Trust me, if you're anything like my family, you are going to have a lot of injuries this summer. These wraps are perfect for the quick to heal pains. Great for a day of neck straining in from doing yard work, or just waking up on the wrong side of bed. 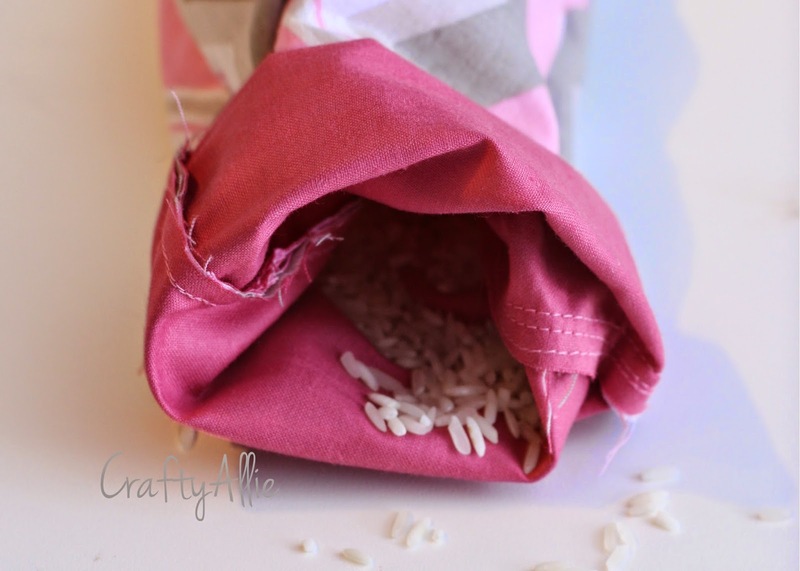 They are so super easy to make, mine only took 30 minutes! I used about 1 cup for my wrap. Then spray with your choice of essential oil. 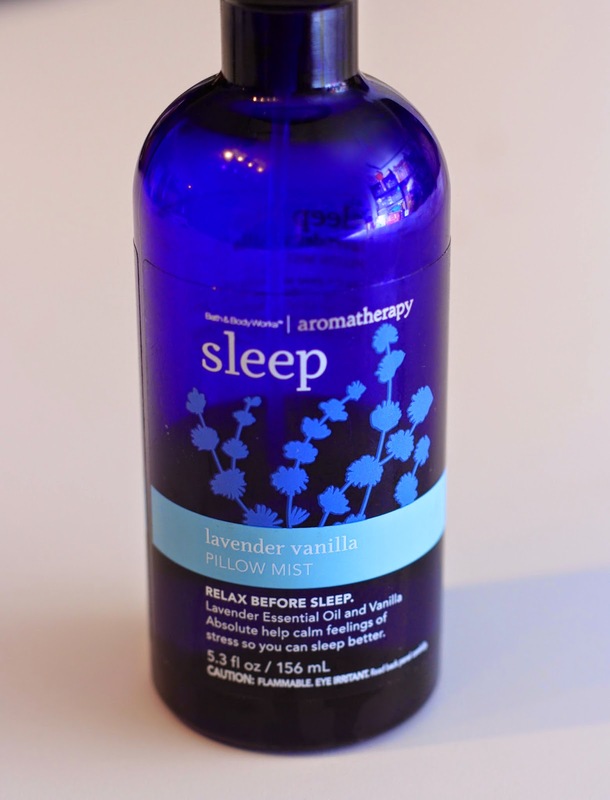 Its actually to put on your pillow to help you sleep, but it smells heavenly! Spray enough to get it pretty wet, and then shift it around a bit. Then wash your hands! Now, while that is setting, lets cut our material! 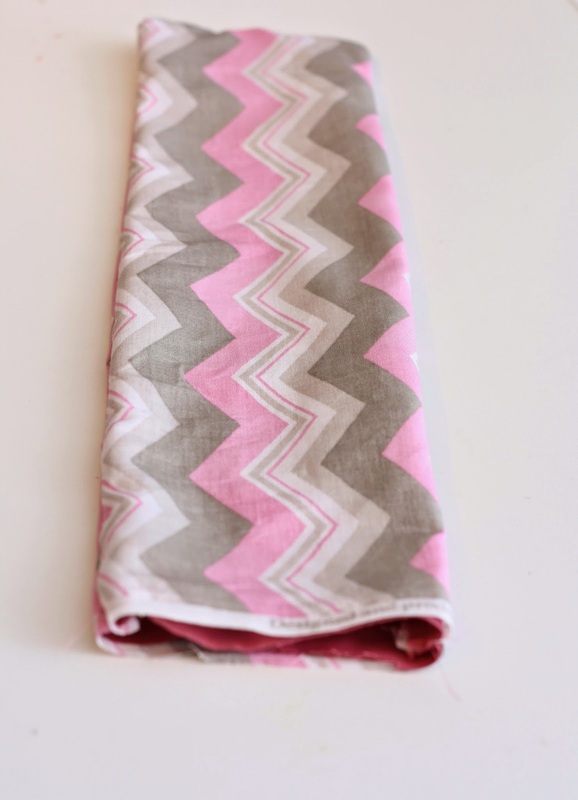 I used this lovely chevron pattern, and I added a pink fabric for the inside. 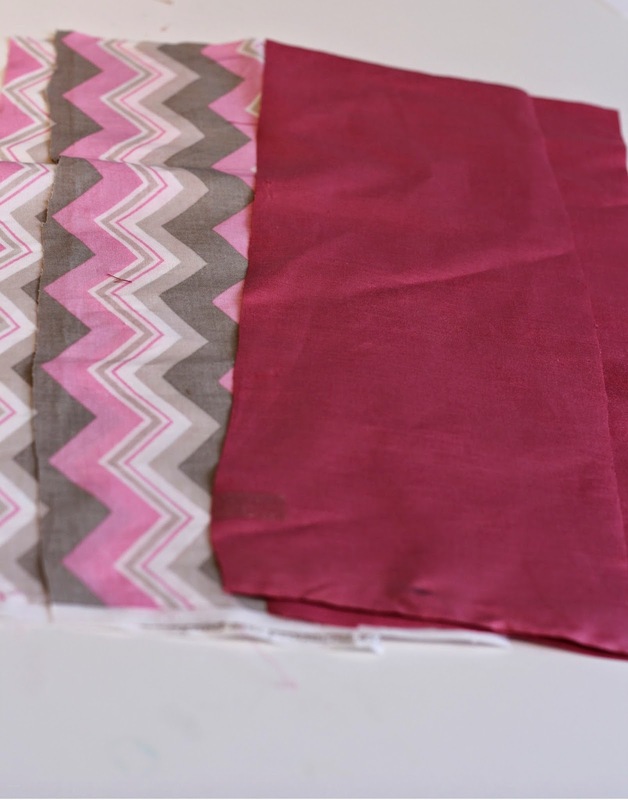 I cut two 5x14 strips of the chevron print, and two of the pink fabric. 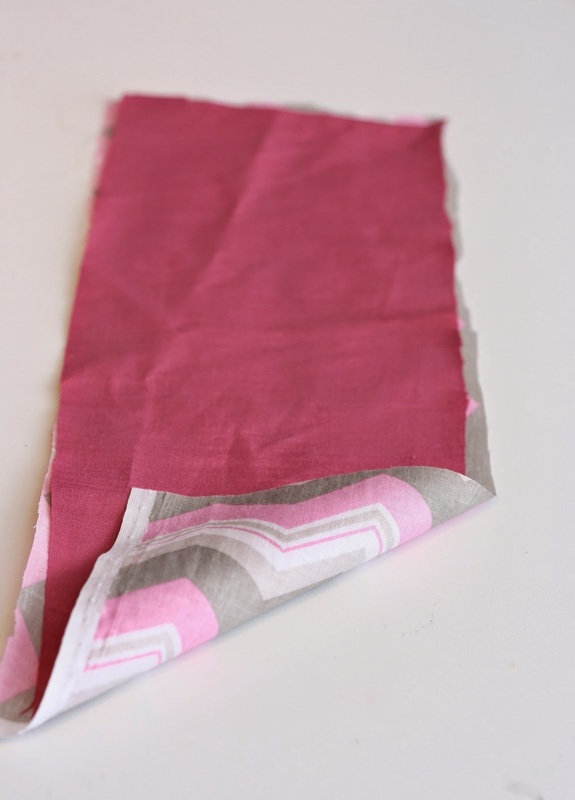 You could just also double your strips and only do one pattern (color). I then sewed a pink back sides together. Now do that to the other strips. 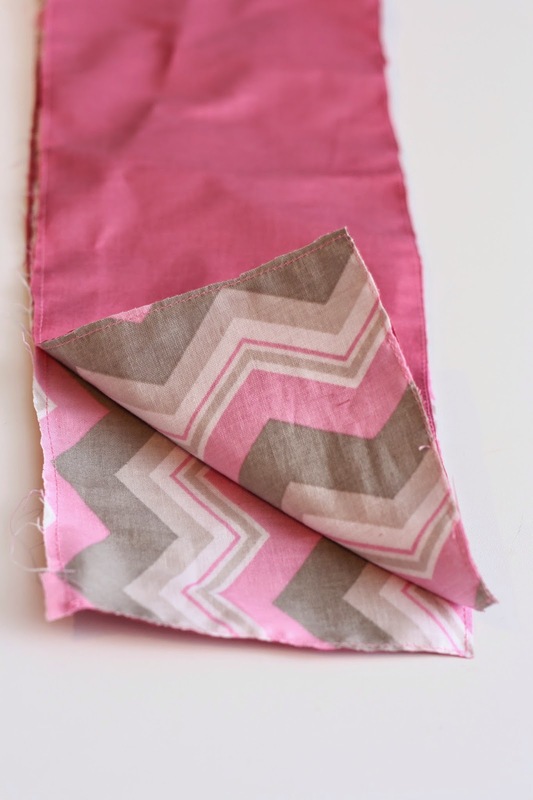 Now match up the chevron print together, and sew about 1/4 inch from the edge on the pink sides. just to make sure it would not ever leak! Then turn it right side out! 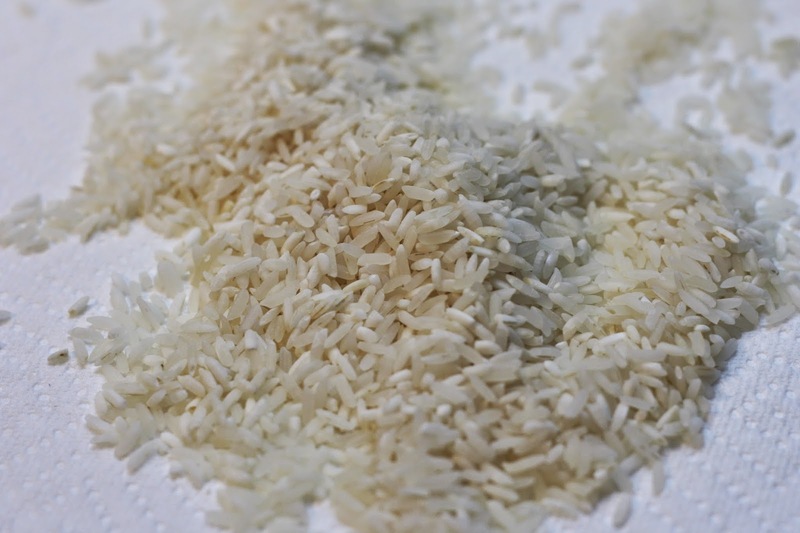 Then fill it with rice. and then sew the top together. make sure it doesn't come open! Warm it in the microwave for about 1 1/2 minutes (45 seconds on each side). I'm thinking these would be a great Dad and Grandpa gift for Father's Day. I also can't wait to make them for teachers, co-workers, and stocking stuffers! Thanks so much for having me on today Amber! Come hang with me some more! Thanks, Allie, this looks like such a fun (and easy!) project. I know I'll be needing to make some soon! What a great post! Thanks for sharing this. I will have to make a few of those. This is great. 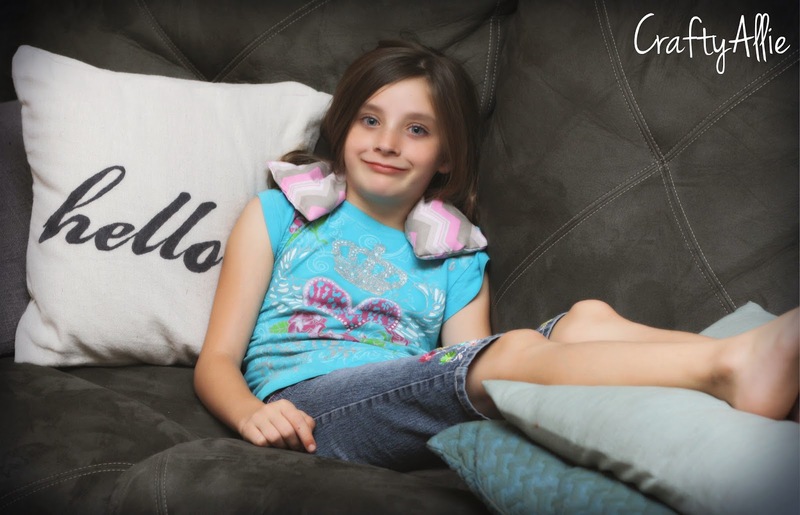 I have a similar DIY on my blog (sexymoxiemama.com) for the ear for kiddos when they have ear infections. Thanks for the post. Here in Iowa we use feed corn to make them. 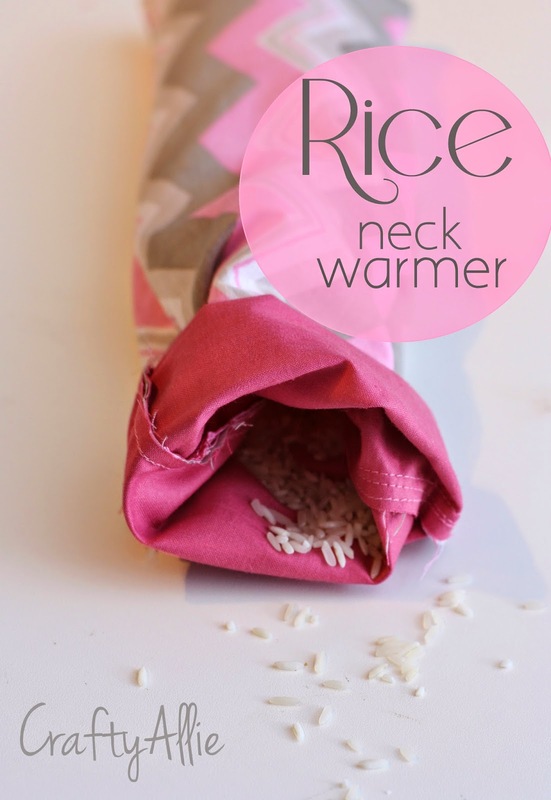 Holds the warmth MUCH longer than rice! Warm or not, this would be great for air travel! Thanks for sharing, love the fabric! Now if this was a neck cooler I'd be all over it. Course, that wouldn't work as well with rice. Someone was selling those once at Celebrate Freedom and oh man were they worth the cost. Similar to this but thinner and packed with something different...just just soaked them in ice water and put them around your kneck (some people had them tied around their heads). The people selling them let you "re-ice" them in their cooler. I totally forgot to add that it only takes about 1 1/2 minutes in the microwave. I heat mine for 45 seconds each side. Thanks, Allie; I'll edit the post and add that info! I have never heard of this, we get lots of aches and pains from working out. I am going to make this! Love this!! Will have to try it myself. :) Found you on Snickerdoodle Sunday! Super cute! Thanks for sharing great tutorial! Very cool or should I say, hot idea! :D I am going to save these instructions on the off chance I get in crafty mood. Thanks for sharing!